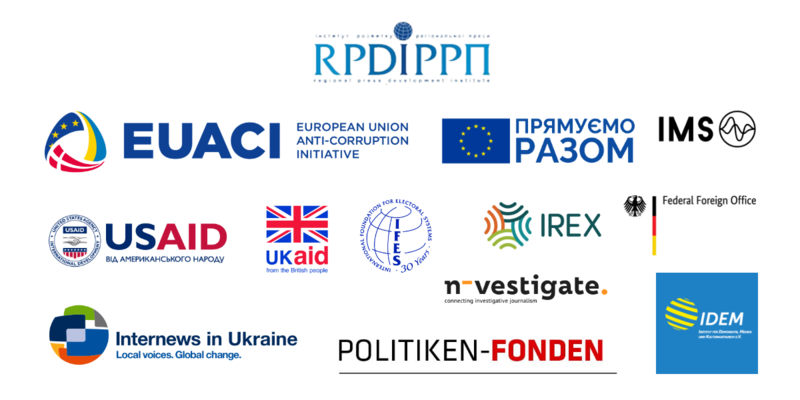 RPDI will hold National Investigative Reporting Conference which will unite over 200 journalists from Ukraine and abroad. In 2018 the conference is expected to become a platform for communication where journalists can discuss the challenges of the upcoming elections, gather international expertise on multiple security and productivity issues connected with the high political tension in the country as well as work on unity and common action against the pressure on the journalism community. 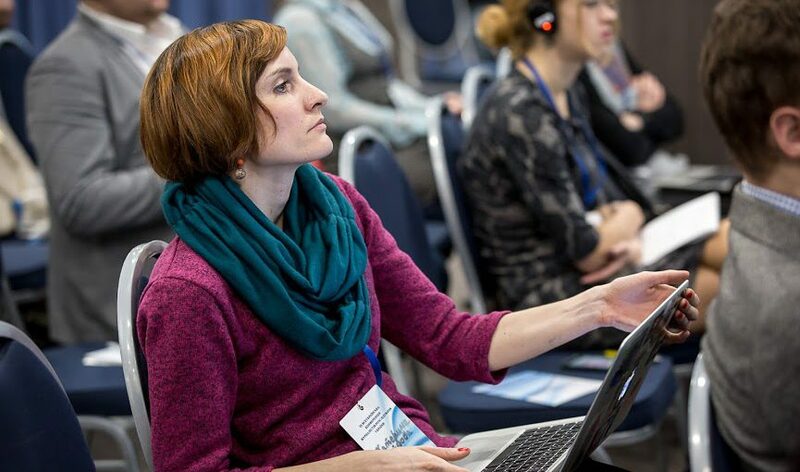 Just as every year this year the conference will bring and introduce new media techniques and instruments to Ukrainian media market. RPDI relies on international speakers as unbiased “sources” of new experience and skills. They will bring their insights and expertise to discussions and that is what clearly is needed right now – opinions of unbiased, trusted experts. This year, we are bringing in the most prominent world investigative journalists with the experience in political investigations – David Cay Johnston, James Grimaldi, Gavin Rees and others. As a part of our growing concern of security of journalists (all – physical, legal, reputational), we are going to host open discussion on journalist security and violations against journalists that are intensifying before the start of political campaignes. Ethics, media law, new trends in education for journalists, open data presentations from international speakers, discussions/presentations of best local and tans national investigations, practical sessions (from data search and analysis to shooting with drones) – all are other important elements of this year agenda. 12:30 – 13:20 Registration of participants. Welcome coffee. 09:00-10:00 Registration of participants. Welcome coffee. Serhii Grytsenko, Internews; Svitlana Zholobaylo, IREX UMPP; Kateryna Laba, IWPR; Petko Georgiev, Open Media Hub; Anna Babinets, OCCRP; Olga Zhyryachenkova, MDF of US Embassy. David Cay Johnston, DCReport.org Seventh section. Archives and databeses for political corruption investigations. The database of politically exposed persons (PEPs) of CIS countries. Transborder corruption archive. Uncovering political corruption: Can journalists and NABU work together? Evhenia Motorevska, Slidstvo.Info; Maryna Yaromenok, NABU; Olena Krolovetska, NABU; Taras Filonenko, NABU. 18:45-19:15 Award ceremony for the winners of the investigative journalism contest, covering issues related to the financing of political parties and candidates for elections (political corruption) in Ukraine, conducted by the International Foundation for Election Systems (IFES); Award ceremony for the winners of the journalism contest “Best publication under “Disinformation counteracting in the information sphere of Ukraine, Armenia and Georgia” project”. Lyudmila Pankratova, RPDI; Natalia Sedletska, Skhemy Hands-on zone. How to read and find violations in the reports of political parties? Moderator: Alina Stryzhak, Nashi Groshi Hands-on zone. Information and data services about elections useful for investigative journalists, provided by CHESNO.